MASTER TONY MORRIS is a 7th Degree Black Belt in Traditional Tae Kwon Do. He is the founder, resident Master Instructor and co-owner of Asheville Sun Soo Martial Arts, as well as the founder of the Sun Soo Martial Arts Association, which is dedicated to the excellent practice, teaching and preservation of traditional martial arts. Master Morris began his martial arts practice at the age of 10 and has practiced for more than 40 years, 25 of which have been spent teaching. Master Morris studied more than 35 years under three different 9th Degree Korean Grandmasters: Ju Hun Kim, Young Yu and Chae Sun Yi. In 2011, Master Morris began working with his current teacher, 9th Degree Grandmaster Suk Jun Kim, Founder and President of Taekwon-Do International, direct student of General Choi, who is widely regarded as the “grandfather” of Traditional Tae Kwon Do, and international demonstrator for more than two decades. In 2012, Grandmaster Kim awarded Master Morris his 7th Dan for his decades of practice, dedication to his students, and expertise in and impact on the art of Traditional Tae Kwon Do. 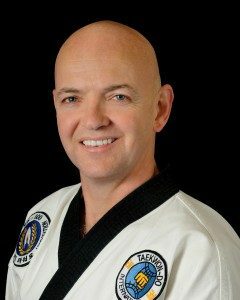 Master Morris has complemented his Tae Kwon Do practice with substantial training in Hapkido, Boxing, Judo and Jiujitsu, reflecting his comprehensive knowledge onto his instruction to his students. As a practitioner, Master Morris has placed first in forms, sparring, in-close self-defense and board-breaking in numerous tournament competitions, including at the national level. As a teacher and mentor, he holds a variety of awards for distinction as an instructor and innovator in martial arts. As a martial arts professional, Master Morris is sought after as a consultant for his success and excellence in the martial arts industry. On the mat, his leadership and teaching style are characterized by high energy, attention to detail and a drive for encouraging the best possible outcome in every moment. Master Morris’ role as resident Master Instructor is supported by his wide range of experiences and accomplishments. In addition to being a husband, father, and friend to many, his professional education includes a B.S. in Chemistry, an M.A. in Architecture, LP PhD certification as a Life and Business Coach/Trainer, certification as a Level II Reiki practitioner, and additional training in the Silva Method, NLP and EFT to complement his comprehensive approach to teaching. His professional work experience simultaneous to his life-long martial arts training and teaching includes: a 20-year career in Architecture (Design Principal for a major A&E firm), winning numerous design awards; creation and ownership of a successful advertising agency; university instructor of Building Structures coursework at NC State University; presentation graphics and life drawing instructor; organic chemistry tutor; published author of numerous articles on a variety of subjects including martial arts, parenting and manifestation principles; and acclaim as a nationally-renowned commission portrait artist (www.tonymorrisart.com). While having developed an accomplished and dedicated staff at Asheville Sun Soo, Master Morris maintains a prominent presence in all of the 40+ classes per week at the school. Additionally, Master Morris offers seminars, demonstrations and motivational presentations at a number of area schools, community centers, public events and civic organizations and businesses. When he is not teaching, Master Morris can be found spending time with his family, traveling, designing and building, or working on a commissioned portrait.